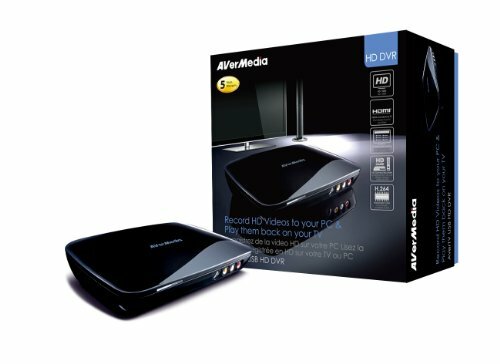 AVerMedia DVD EZMaker 7 resolves your trouble with piles of old VHS tapes. You can turn your beloved old movies into digital formats and easily refine the quality of videos like a pro, even share your videos on YouTube and Facebook! Moreover, USB interface and pocket size accomplish the great portability.AVerMedia DVD EZMaker 7 can easily turn moments recording in diverse analog video signals into a comprehensive DVD or VCD formats without concerning signals lost! Through the high speed USB2.0 interface, you can easily connect your desktop and notebook computer with home video devices, such as DV, V8, VHS, DVD Player and VCD Player, by just one step "plug and play"! The bundled Cyberlink software allows you to create personal menus, and edit video clips on a storyboard easily. Meanwhile, you can import your favorite videos, and organize, edit, highlight video clips on a storyboard to create your personal movies.